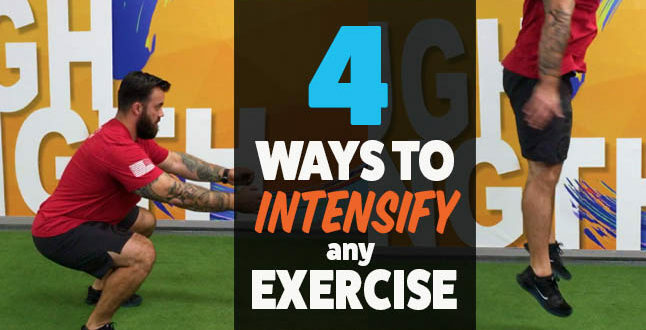 Instead of just switching up your exercises, take your favorite exercises and CHALLENGE them! 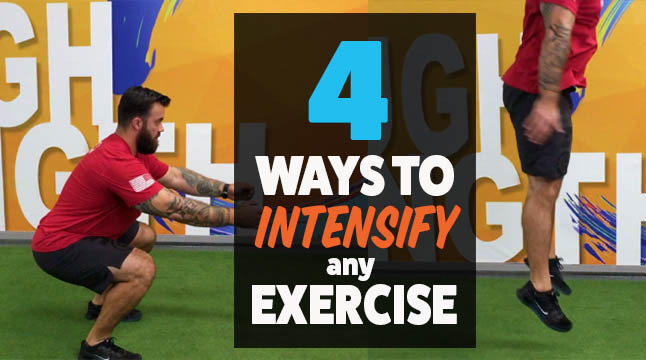 You can increase the INTENSITY with these 4 methods. Tempo: the whole motion is done with control, usually 2-4 seconds up and down. Negative: the eccentric (or most often the lowering/elongating phase) is done slowly, anywhere from 4-8 seconds. Then you quickly move up or complete the Concentric phase. Time is focused in the eccentric phase. Pause: hold the bottom of the position for 2-3 seconds then power up out of the position. Heidi’s TIP! : I like to add negatives to my last set of a certain exercise (like pull ups) where I tax the exercise till I cant do any more negatives. GREAT BURNER! Remember, If it doesn’t CHALLENGE you, it doesn’t CHANGE you!